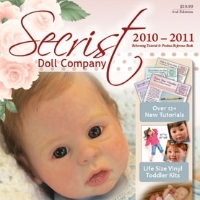 Practice your�painting technique before�trying it out on your doll! Want to practice new painting techniques without the worry of ruining a doll? You can purchase one or more limbs that are considered a factory "second" for a greatly reduced rate to try your latest painting techniques. These limbs use the exact same vinyl as our doll kits and any defects are minor and will not affect the limbs sampling ability. You will receive one arm or leg that is either 3/4 or 1/4 length.